Get more from Scholastic’s best-loved Read & Respond series. 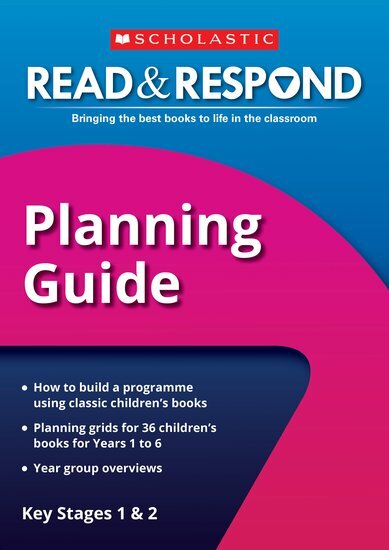 This Planning Guide makes it easy to build a whole-school literacy programme that introduces young readers to the world’s favourite children’s books. It provides a suggested teaching structure for Years 1-6, and helps you adapt Read & Respond resources to meet your school’s individual needs. The perfect way to boost literacy, encourage reading for pleasure, and help children develop speaking and thinking skills that will serve them for a lifetime.